‘This will define them’ – as O'Melveny merger nears, how are A&O's top brass rated? At the midway point of their tenure, with a transformative US merger in sight, how are A&O leadership duo Wim Dejonghe and Andrew Ballheimer perceived by their peers? 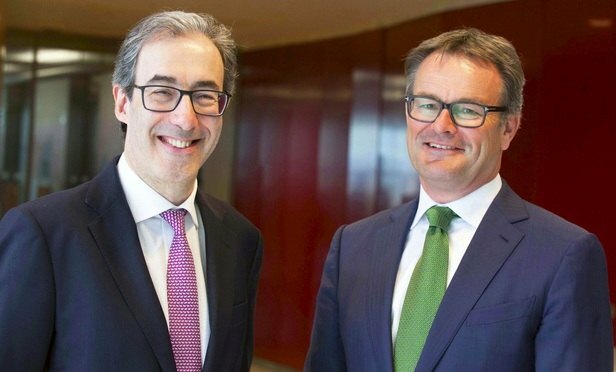 More than halfway through their terms as Allen & Overy (A&O) senior and managing partner, Wim Dejonghe and Andrew Ballheimer face a pivotal moment in the magic circle firm’s history. All but one of the 14 partners at Adelaide-based Fisher Jeffries, a member firm of Gadens' national practice, will join the global legal giant. The latest acquisition follows its snaring of five international offices last week and the firm is still keen on other regions.